Significantly weaken DEF of opposing Tactics. Significantly degrade co-op/raid boss's DEF, regardless of its daily weakness. 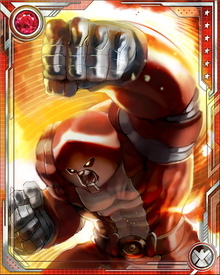 The Juggernaut wears a helmet fashioned from an unknown mystical metal found in the Crimson Cosmos dimension of Cyttorak. 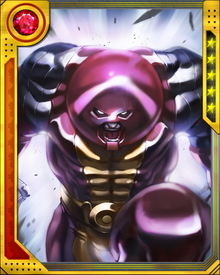 He often leads with his head to ram into foes with incredible force.